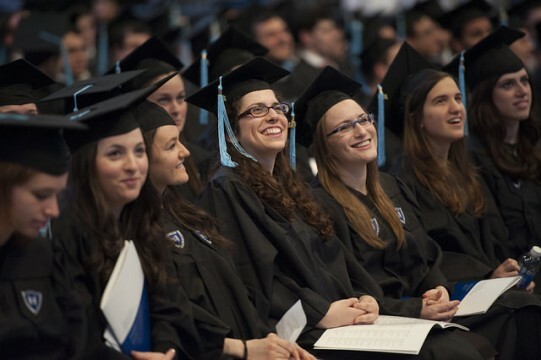 With more than 90 percent of Yeshiva University graduates employed, in graduate school—or both—within six months of graduation according to a recent Career Center survey, it’s no surprise that many choose to continue their academic journeys at a remarkable rate: U.S. News & World Report recently ranked Yeshiva University second in the country among colleges with the highest percentage of graduates pursuing advanced degrees within one year of graduation. However, the rates at which graduates are being accepted to schools in their fields are even more astounding: this year, 93 percent of students applying to medical school, 96 percent of students applying to dental school and 100 percent of students applying to law school have been accepted. Esther Kazlow conducted hands-on scientific research last summer as a Roth Scholar, one of many advanced research opportunities the University offers to undergraduates. 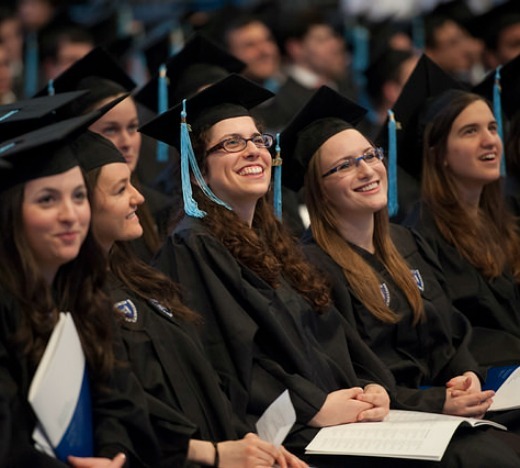 At Stern College for Women, students have been accepted to dental schools at the rate of 100 percent for three years running. For law school hopefuls, YU also provides unique access to programs that give students their first real taste of the field—and an edge in the application process. When students expressed interest in learning about how labor law applies to the National Football League, Chelst brought in an authority in that area to speak to them about it. When they had questions about education law, she organized a session with Abja Midha, project director at Advocates for Children of New York. Midha now mentors four Stern College students. “I really like our events to be student-driven and geared toward their interests,” she said. Whether their ultimate dream is Columbia Law or Harvard Medical School, students know that they have a whole team of coaches cheering them on every step of the process—whether it’s an academic adviser calling a graduate school on their behalf to a Career Center counselor conducting mock interviews with them to make sure they’re comfortable and confident during the real thing. “The one-to-one ongoing attention for students, as well as the collaborative efforts between the Career Center and the pre-professional advisors, is a key to their success,” he said.